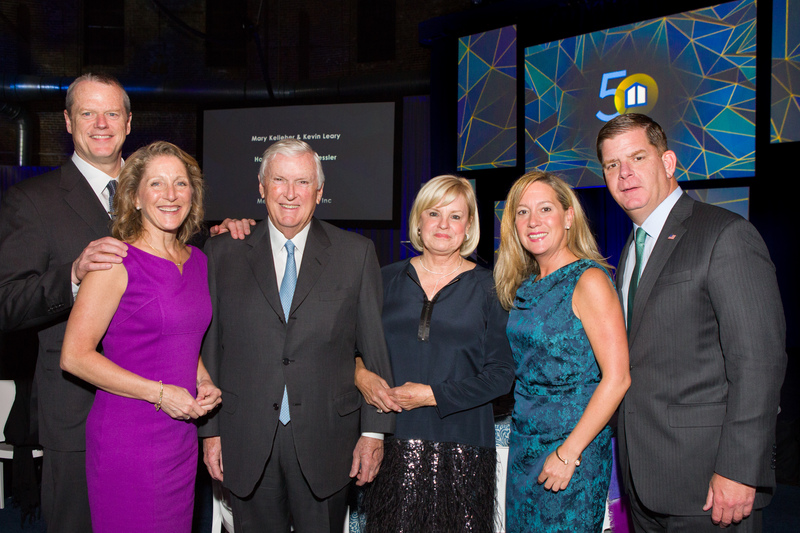 It was a celebratory atmosphere at The Cyclorama on Tremont Street on the evening of May 4th as 350 guests joined Project Place to commemorate 50 years of service to those in need in the Greater Boston community. 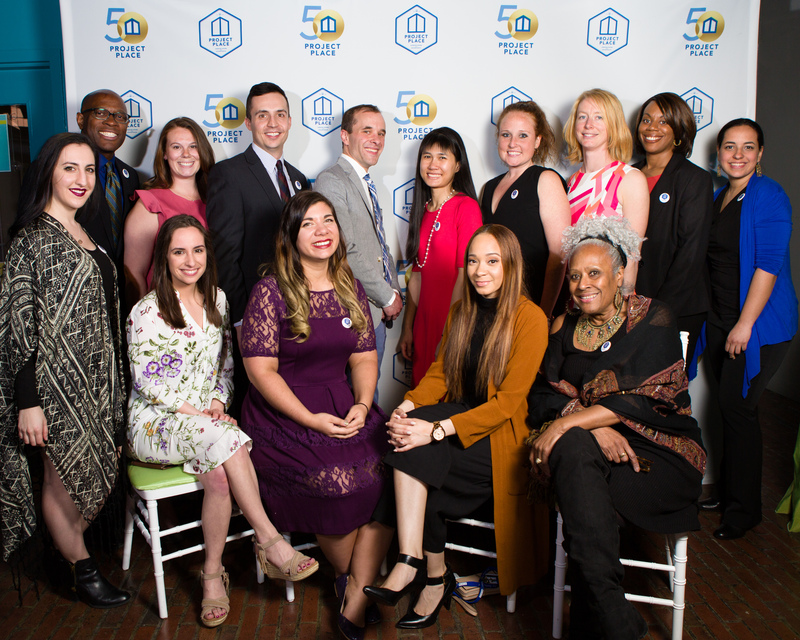 The agency hosted the Open Door Gala at Boston Center for the Arts, providing guests with an event that reflected the 50 years Project Place has been an ‘open door’ for the most vulnerable citizens in the community . In addition to being a celebration, the Open Door gala was a fundraiser for Project Place’s upcoming three year expansion of social enterprises and industry-specific training, and raised $1.3 million to benefit the agency’s programs and services. During the cocktail hour, guests were able to learn more about the jobs, housing and hope Project Place provides by visiting interactive huts staffed by program staff members who provided guests with more information about Project Place and the ways individuals experiencing homelessness can find help. Chantal Ambroise and the Hi-Fi delighted guests with their smooth, jazzy sound, and Max Ultimate Foods provided culinary delight in the form of dinner as the program began with “Doors”, the 50th anniversary video. The event brought 350 supporters of Project Place together, including current staff, Board members, old and new supporters, and long standing community partners. Attendees included Honorary Committee chairs Governor Charlie and First Lady Lauren Baker, Mayor Marty Walsh and Ms. Lorrie Higgins, and Mrs. Angela Menino. 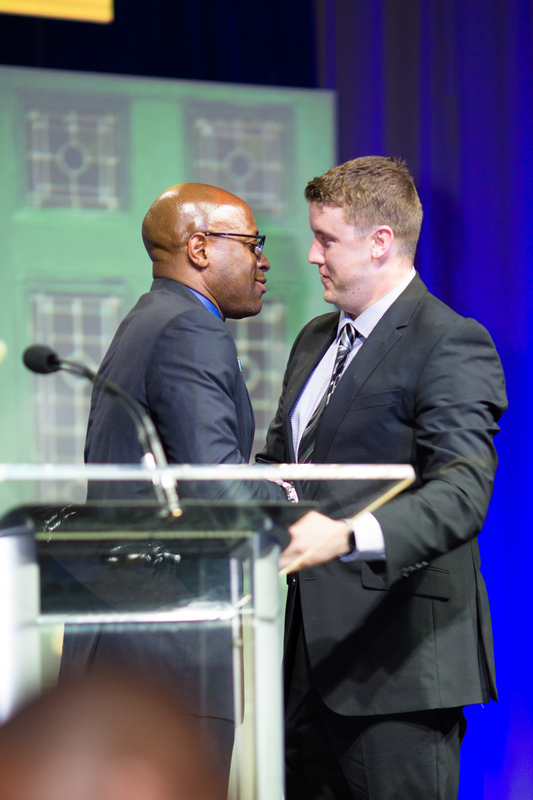 Program Graduate Tommy Walker addressed Gala attendees and was the first recipient of the Callaway Scholarship in support of Tommy’s efforts to complete his bachelor’s degree in construction management at Wentworth Institute of Technology. Included in the program was Project Place founder Peter Callaway, who was a divinity student when he and others conceived of ‘Place”, a crash pad and safe haven for runaway teens in the famed summer of ’67. Callaway provided guests with a rich history of ’Place’ and how far the agency has come. Also in attendance: a dozen former volunteers and staff who were critical in founding of Project Place. 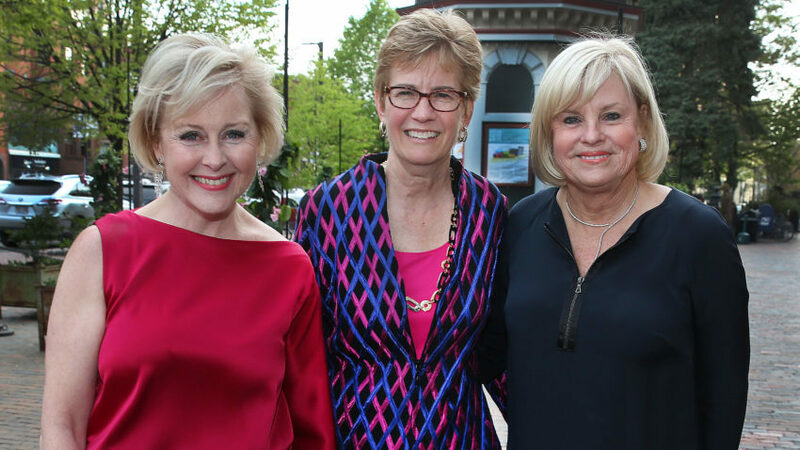 The Event Committee, Co-Chaired by Project Place Board members Eileen Connors and Mary Kelleher, along with members Jan Cooper and Shirin Zahedi and Rafanelli Events, worked tirelessly over the past year to ensure the celebration was perfect. Top sponsors of the event were Eileen and Jack Connors, Mary Kelleher and Kevin Leary, Highland Street Foundation, Howard and Michele Kessler, Jean Tempel, Merriam Hill Center, Inc. and Myers + Chang. Thanks to all who supported this historic event raising needed funds to transition hundreds of individuals out of homelessness.